Springboks missed a golden chance to claim back‑to‑back wins over the All Blacks for the first time since 2009, after the All Blacks overturned a 17‑point deficit to claim a thrilling 32‑30 win in Pretoria this morning. The All Blacks trailed for almost the entire match, but a 79th minute try to Ardie Savea gave Richie Mo'unga the chance to kick the match‑winning conversion, which he converted to seal the win for New Zealand, and break South African hearts at the same time. New Zealand trailed 30‑13 heading into the final quarter and tries to Rieko Ioane, Scott Barrett and Savea late in the contest sealed the win. 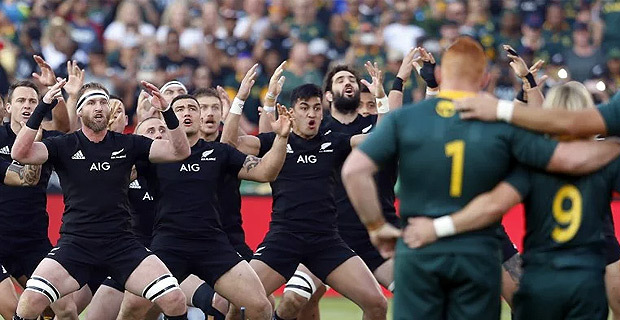 The All Blacks had already secured the Rugby Championship title, but targeted this last‑round game as the one they wanted to win after the Springboks' upset them in Wellington three weeks ago. With the scores deadlocked at 6‑6 after a tense and physical first half, the Springboks struck just three minutes after the restart when Jesse Kriel beat three defenders to score. Pollard then kicked his third penalty goal of the might to extend the hosts' lead. Springboks captain Siya Kolisi then broke through the All Blacks' defence and put Damian de Allende away to score next to the posts, to put the hosts up 23‑6 in front of 50,000 fans. The All Blacks hit back almost immediately through Aaron Smith to close the gap, but that was countered when Cheslin Kolbe scored to re‑establish a 17‑point lead with 20 minutes remaining. Then the comeback truly started when Ioane scored his 21st try in his 20th test. Barrett then dotted down under the post to make it a five‑point ball game with only minutes remaining. Savea tied the match up when he scored in the final minute, leaving Mo'unga to do the rest by kicking the match‑winning goal. The All Blacks now have some time off before the dead‑rubber third Bledisloe Cup test against the Wallabies in Yokohama, Japan. Following that, they will play four tests on their northern tour against Japan, England, Ireland, and Italy. Meanwhile the Wallabies will now take on Argentina at 10.40am today.